After wooing Mumbai, Pune, Bengaluru, & Kolkata with its energetic ‘pub’ vibe, an extensive variety of domestic and international beers paired with signature Brit & Irish food, Delhi is gearing up for the ultimate Irish hangover. The group is planning to open three outlets one after another. The much loved restobar which has now opened its doors for the Delhi peeps is adding a touch of Ireland with the first outlet opening at Epicuria, Nehru Place. The Nehru Place outlet boasts of a fantastic outdoor seating area including signature community tables, televisions for football games' screenings, brick walls, quirky quotes, wooden kegs, and the likes. The inside section maintains the unique Irish House look with exposed brick walls with a touch of Irish green, high bar stools, a well stocked and well displayed bar with a range of beer options, community tables, a large projector for match screenings, cool quotes on the wall, and more. “We aim at bringing the missing authentic pub culture to the capital city and providing our guests what we’re best at – a high quality, value for money, consistent, and an innovative ‘pub experience’,” shares Sanju Arora, General Manager, The Irish House. 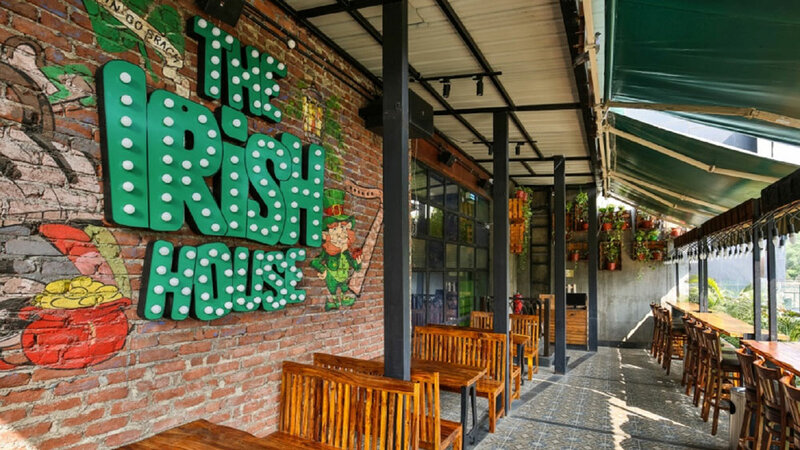 With openings lined up in Noida and Connaught Place soon, The Irish House is now at 16 locations across the country, each with its own exceptional vibe, and with an extensive selection of domestic beers and international beers from across the world. A widespread mix of imported and domestic spirits, a well-curated wine list, signature creations and classic cocktails complete the bar menu. The community eats; the loaded fries, the huge range of delicious burgers, the pastas, and the pub favourites present a perfect mix of classic and contemporary pub grub.